In the fast-paced world of digital marketing the ability to honour deadlines is an essential part of reputation-building. However, many digital marketers fall prey to the twin transgressions of over-commitment and under-delivery. So how do you handle tight deadlines and maintain a high standard of work? Here are 4 tips to help you never miss a deadline, developing stellar professional reputation that will get you recognized by colleagues and supervisors. Tip 1: Never commit to a deadline you know you cannot meet. 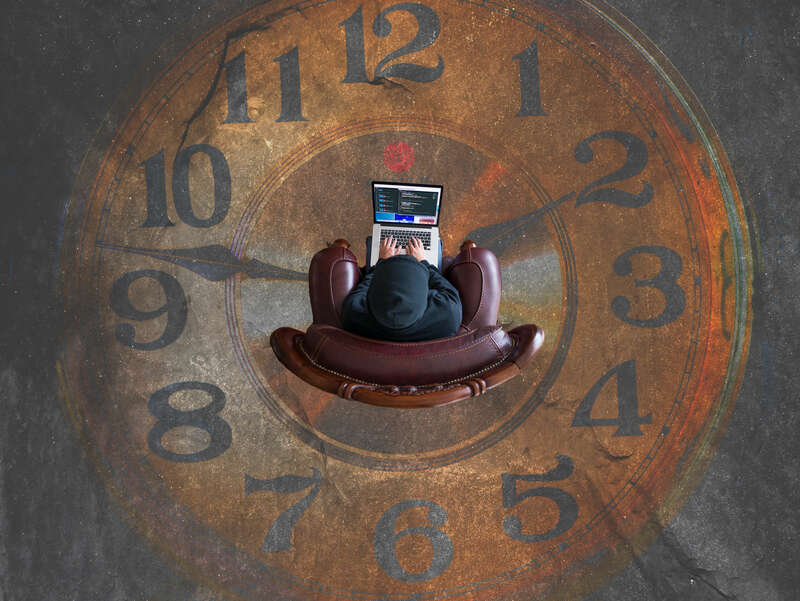 Sometimes in your efforts to please a customer or a boss you may be tempted to accept a deadline that you know you cannot meet — even if you work 24 hours per day. However, going without sleep for extended periods is bound to impact your health and well-being — not to mention productivity! Numerous research studies have shown that if you don’t get enough sleep, you risk losing cognitive speed, your ability to concentrate is significantly impaired and your working memory is affected. In short, at a certain point working longer hours are far less effective than working shorter hours. It doesn’t matter whether you’re one of these young, ambitious marketers who are keen to make their mark or older experts who are just desperate to remain in the top ranks. Both groups may easily fall prey to the heady coercion of a fast-paced industry and the tight deadlines it demands. However tempting it may be to say “yes” to unrealistic deadlines, just DON’T! You will gain more from communicating honestly and negotiating reasonable deadlines rather than from promising something that you know you might fail to deliver. Tip 2: Once you have committed to a deadline, always meet it. Once you have committed to a deadline, meet it at all costs. Your personal and organisational reputation will suffer if you don’t. Also, if you do not meet YOUR deadlines, you may negatively affect the ability of OTHERS to do their jobs properly. Your actions may have a devastating domino effect, so show your professional responsibility by getting things done on time. This is how you build a reputation as a reliable worker able to deliver their expertise in specific time frames. Tip 3: Planning and time management are key. If you have to work on tight deadlines, planning and time management are key to make it all work. Break large tasks into smaller manageable chunks, and make sure to attach milestone deadlines to each task. Matching sections of the work with milestone deadlines will help you to eventually meet the final deadline right on time. The key to good project management is the insight that if you suspect something might go wrong (and it probably will! ), be prepared for it and create a plan B. If at any stage in the process you foresee delays or obstacles, make contingency plans in advance. Now, if these contingency plans involve other people, be sure to keep them in the loop. Tip 4: Concentration is the key to meeting deadlines and delivering good work. If you’re working under a tight deadline, try to focus on one thing at a time. In open space offices it is often difficult to cut out distractions, but one thing you can do to make your life easier is put on noise cancelling earphones, switch off your phone (or at least silence all the non-essential groups and notifications) and simply CONCENTRATE on the task at hand. In a perpetually connected world it is challenging not to get distracted by social media messages of a personal nature or fight the urge to check emails. However, these activities bring you little value and simply steal your time, effectively interrupting your thought processes and making you less productive. Research by cognitive scientists shows that assignments often take longer to complete because of distractions and that additional time nearly always comes from the effort it takes to refocus after an interruption. When people are mentally tired, they also make more errors and are sloppy. Scientists also say people suffer more mental fatigue when they repeatedly drop and pick up mental threads — multitasking is definitely a bad idea. It is all about synergy. All in all, your ability to handle tight deadlines and maintain high standards of work will depend on the synergy between emotional, cognitive and administrative skills. If you develop time management skills and are able to realistically predict how much time you’ll need to a given task or a series of tasks, you’ll be on your way to getting everything done perfectly on time. David Grover works at Timeo.co.uk, a useful tool on businesses in the UK. He is also a freelance career coach.